Bounce rate is an excellent metric for gauging your visitor interest, testing landing pages, improving your acquisition strategy and much much more. However, bounce rate can be very misleading. Content based website usually have high time on page due to return users. These loyal users usually leave after consuming a new post thus driving up the bounce rate. Also, this metric can easily be manipulated by event tags. For example , if you are tracking scroll tracking this can affect your bounce rate. So, if someone simply visited your website for one second and then scrolled the bounce rate might be altered. Choose your Tag Type,Universal or Classic. 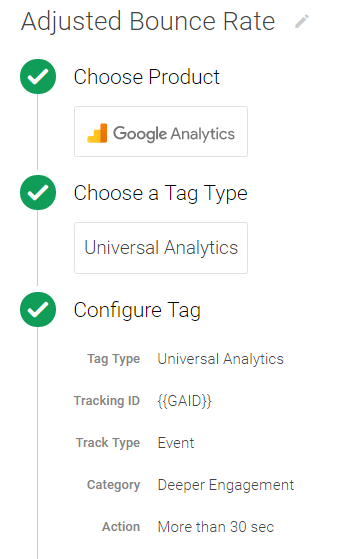 Configure the Tag by adding your Google Analytics tracking code. Now that you have your new tag, you will need to set a trigger that will instruct the tag to fire. To create a trigger follow the instructions below. Open your preview and debug mode. 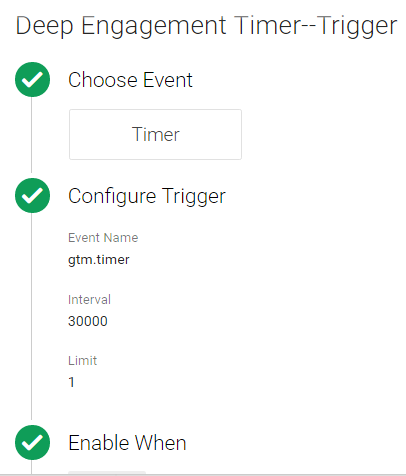 Visit your website and wait for the timer to fire in the debug console. 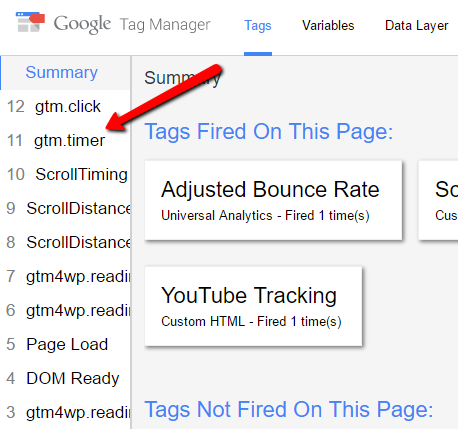 You will see the gtm.timer event fire in the left pane and the tag fire.